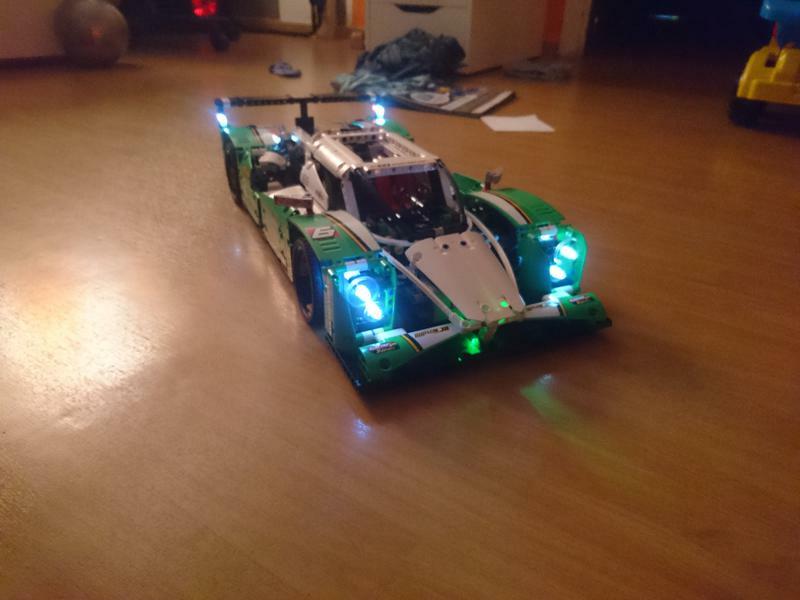 I've been modifying my 42039 (24 hrs racecar) to be remote controlled with an sbrick and was wondering if the power functions light unit will work for that set? 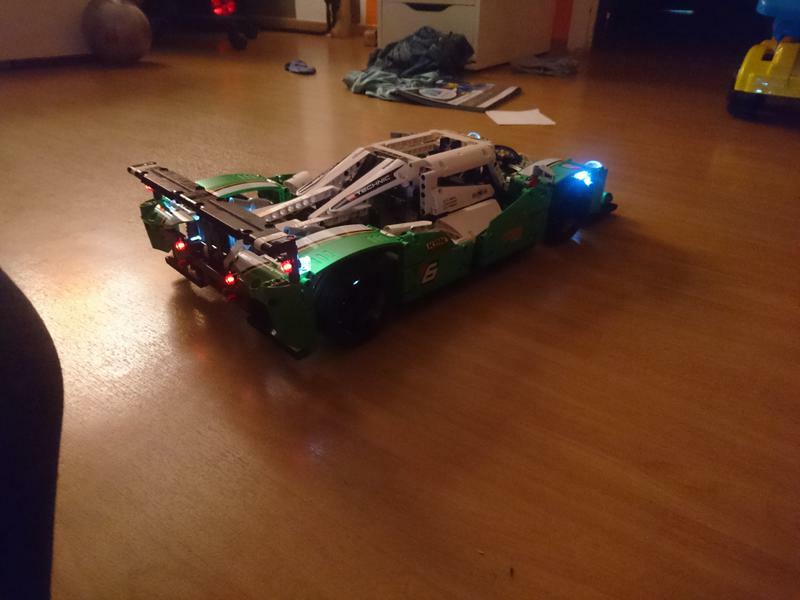 I don't have any of them, so I'm not sure if the wires are long enough to reach both light sections in the front (or two sets of PF lights one front and back). P.S. I just got my 1st sbrick last week and they are amazing. Now I want another. it should work fine, i have done it myself. the wire is long enough. they are 50 studs long!!! I works really fine! You just have to take care at the front suspension, the wheels tend to rub the wires there. I put 4 of them into the car. Routing the cables at the rear is somewhat tricky as well as you have to be carefull with the suspension and splitting point of the cable to the LEDs.